Dr. 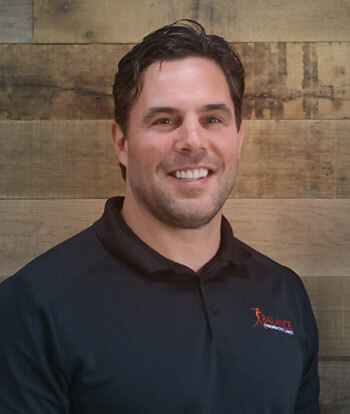 Troy Norris, an expert Chiropractor in Boise Idaho, provides tips on how to find the right chiropractor to help patients heal a traumatic injury. TIP #1: Do they use multiple techniques and technologies? We are not a one-size-fits-all chiropractor and are able to treat our patients whichever technique they are most likely to benefit from. TIP #2: Location and flexibility ­ Finding a great professional close to you with the hours that work for you is always a plus. Getting into treatment quickly is also important after a traumatic injury. Scar tissue starts to lay a pattern during the first two weeks after an accident. Scar tissue is more brittle and more pain sensitive and has more nerve fibers and it so the longer someone waits before seeking treatment the higher probability they can develop chronic pain. Traumatic injuries that we treat is often the result of auto injuries or sports injuries. For example, whiplash, numbness and tingling in the arms, headaches, lower back pain, mid back pain, muscle spasms and disc herniation. The first thing we do is to classify the patient. I’ve went through a program of the spine Institute in San Diego through Dr. Art Croft where we are trained to classify our patients with injuries ranging from class one to class V which allows us to get a person back to their pre-accident status that they were before the crash. We also decide when they are a good candidate for other medical needs besides what we can provide here at balance chiropractic. We are well respected by the other medical doctors here in Boise. and we often refer patients back and forth should they need it. We have alliances with Pain management doctors, neurologists, podiatrists, massage therapists and physical therapists which allows our patients many options when seeking treatment here in Boise. We are well respected by the other medical doctors here in Boise and we often refer patients back and forth should they need it. We are not a one-size-fits-all chiropractor and are able to treat our patients whichever technique they are most likely to receive benefit from. Having options for nonrotating low force techniques are often important in traumatic injury cases. At Balance Chiropractic, our patients benefit because we have one more than one treatment plan in our office to be able to help them. For example, nonrotating low force techniques, Laser therapy, and rehab enable you to start the healing of the soft tissue as perfectly as possible reducing scar tissue formation. By using multiple procedures our patients know, they are getting the best treatment based on their individual symptoms. So if you’re looking for a chiropractor that truly listens and is up-to-date on technology and is really concerned about your comfort give our office a call for an appointment. We take great pride in providing the finest chiropractic care to each and every patient.